Sound is a powerful tool in modern filmmaking. Sound can fool us into perceiving something that’s not there, just as it can make us ignore something that’s actually present. The magic trick is so effective that we never realize the noises don’t match the images we see. But we believe them anyway. Perhaps the illusion is too alluring to let our doubt to shatter. In the slick, but ultimately unsatisfying genre exercise Berberian Sound Studio, director Peter Strickland explores just how strong the force of sound is in film, asking what would happen if sound and image slipped further and further out of synch, both in cinema and in reality. The intriguingly mousy Tobey Jones plays mousy sound master Gilderoy, summoned to work on a nasty exploitation film in 1970s Italy. He’s not used to the gratuitous gore and misogyny of the giallo genre, but, petrified to talk to back to his loud, lusty director, dutifully dubs in scream after scream from sore-throated actresses and mixes grizzly sound effects derived from smashed melons and torn vegetables. Strickland and his cast of Italian filmmakers have fun playing with the tropes of the low-budget Italian B movies that inspired the film, showing a genuine love for their earnest and colorful violence while also acknowledging the disturbing amorality at their core. Is the film presented here—a sordid tale of incantation and witch-hunting called The Equestrian Vortex—art and entertainment at all, or just an excuse to get the director laid? With each witch-torturing Gilderoy grows more and more fatigued and disheartened, until the endless array of sound clips and electronic noises begin to mount like so many piles of tapes, losing their connection with reality. The Equestrian Vortex and Gilderoy’s waking life (his own film, we could say) begin to merge. Strickland attempts to link scenes by transforming sounds, like a chainsaw into a blender, but the connections are a bit obvious. He does, however, create a real mood for his film, cribbing the ominous music and vague sense of dread from giallo films without any overt horror. 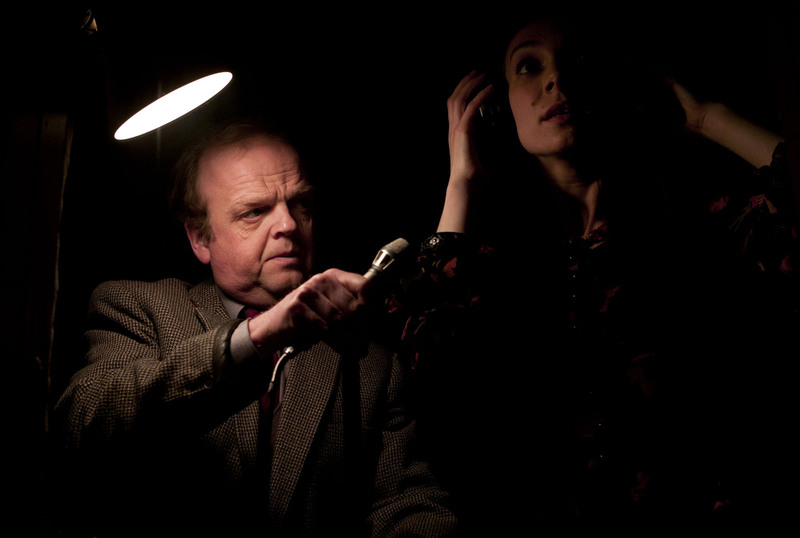 But as Berberian Sound Studio begins to slip further and further away from its setting of 1970s filmmaking, it becomes clear that Strickland doesn’t have a punchline in mind. He’s interested in experimenting with the use of sound—and indeed, as a work of sound editing the film is impressive—but not in pursuing the issues of illusion and identity that he sketches.